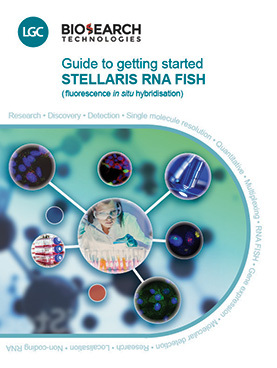 LGC Biosearch Technologies has compiled key information into a new handbook, “Guide to Getting Started – Stellaris RNA FISH” to further ease the implementation of RNA FISH using Stellaris technology. This handbook provides tips and guidelines to help you appropriately plan and seamlessly perform Stellaris experiments. We hope this guide will serve as a great resource by answering common questions frequently asked before starting Stellaris RNA FISH projects.